South Africans Can’t Vine? Can’t YouTube Either? I have recently discovered something ghastly. South Africans don’t think South Africans are funny enough for ‘American’ social media platforms. To be more specific, a few people I’ve spoken to genuinely think that South Africans should stay away form Vine and YouTube because “we’re just not funny.” I don’t know. I think we’re not giving ourselves enough credit. And yes, before you chew me up and spit me out because I am grossly generalising: I know. I did not conduct a survey for everyone between the ages of 16 and 25 throughout the country to come to my conclusion. I have merely observed that among my own social circles, a shocking amount of people feel this way. I have to disagree with the claim that South Africans as a whole aren’t funny. I mean not everyone is funny. But what does it mean to be funny? Humour is very subjective, no matter where you are from. Some people think Jim Carrey is funny while others would love to hit him over the head with a frying pan. Some people just don’t think he’s funny. Same goes with people on YouTube or Vine. The problem I faced when trying to argue against people that were telling me that South Africans can’t Vine is that I didn’t actually follow any South African Viners at the time. So yeah, I didn’t really have much of a comeback there. 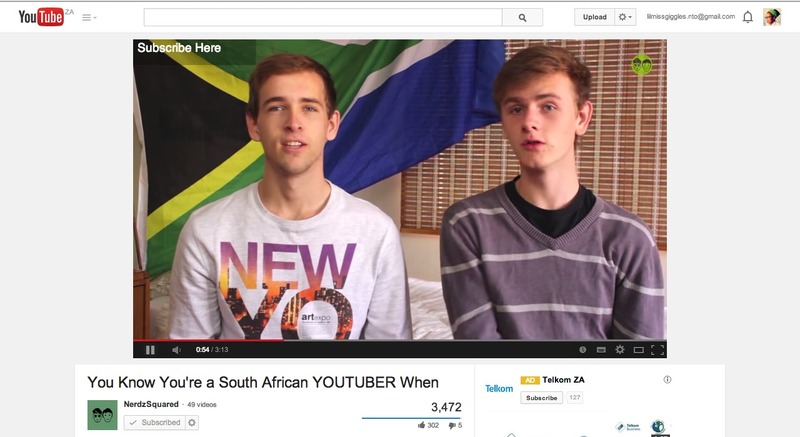 However I have quite a few people I admire on YouTube that are, *gasp*, South African! But, me being the awkward human being that I am, I failed to make any comebacks yet again. Basically I’m a useless human being. Note: This is a very short list. I am a lazy individual. Subscribe to South African YouTubers! And there are some of the amazing South Africans representing! If you agree with me and believe that we as South Africans aren’t half bad at Vine-ing and YouTube-ing, be sure to check those lists out. If you don’t think South Africans have the ability to take the Vine & YouTube world by storm, check the links out anyway, you might be surprised! I think what makes a YouTuber/Viner successful is when they get support from their fans. Perhaps South African Viners/YouTubers just don’t have a large enough fanbase to make them seem more successful. But you must remember, there isn’t as much access to internet here in South Africa as there is in America. This is not an excuse for people who do have access to write off any South African YouTubers/Viners, but it is something to consider in terms of views, revines, likes etc. Just give South African Viners and YouTubers a chance before you declare every one of them unentertaining! Oh, before I forget. 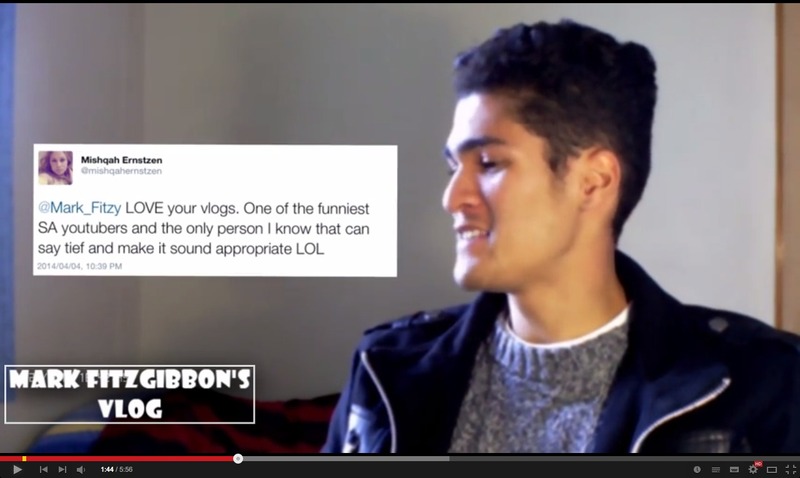 You may have noticed my name in the list of YouTubers. Yes, that was a little conceited of me. No, I don’t regret it. 🙂 Support fellow South Africans!